For the second week in a row, I joined the San Diego Bike Club Saturday morning ride. 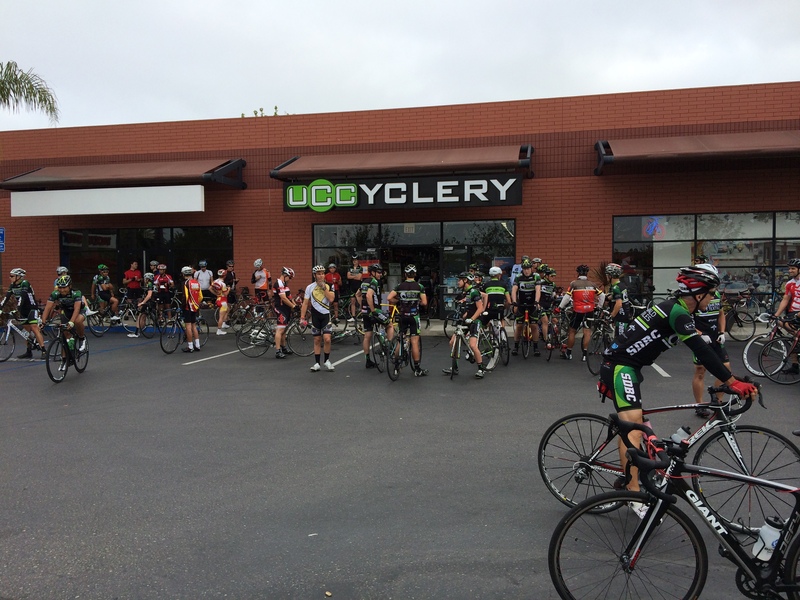 It starts at UC Cyclery, and is a 40 mile, reasonably fast-paced ride through the hills of the north coast. There’s a wide range of abilities in the group, and while I didn’t get dropped going up the early hills, I couldn’t keep up on the big descents with my fixie (can’t coast, so your legs get in the way of gravity). I haven’t been this tired in a long time. I ate about 1400 calories before and during the ride, but I was really hungry for some fat at lunch. 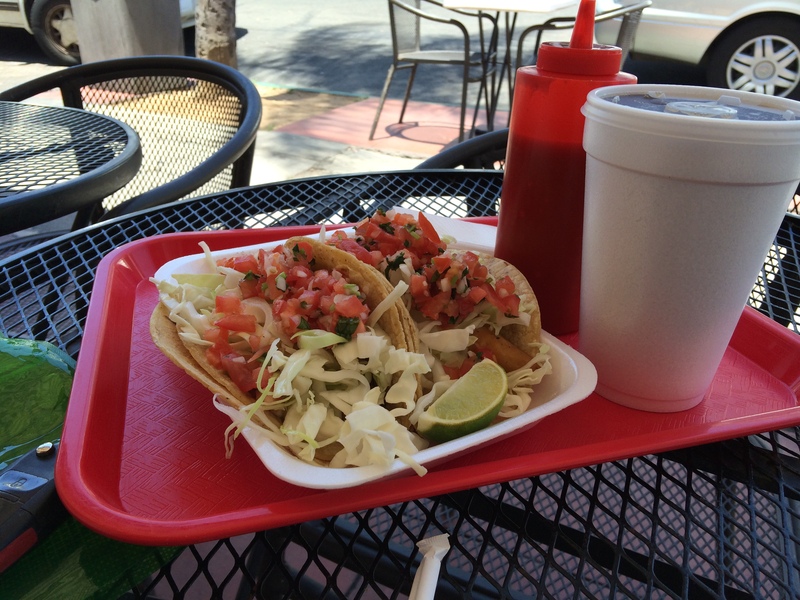 I ate two fish tacos from Taco Rey on 4th, and just slumped in the chair for 10 minutes afterwards.